Got the wand today, Kyle!!! It’s gorgeous!! Thank you so much!! The stones are absolutely AMAZING!!! I’m beyond pleased with them! 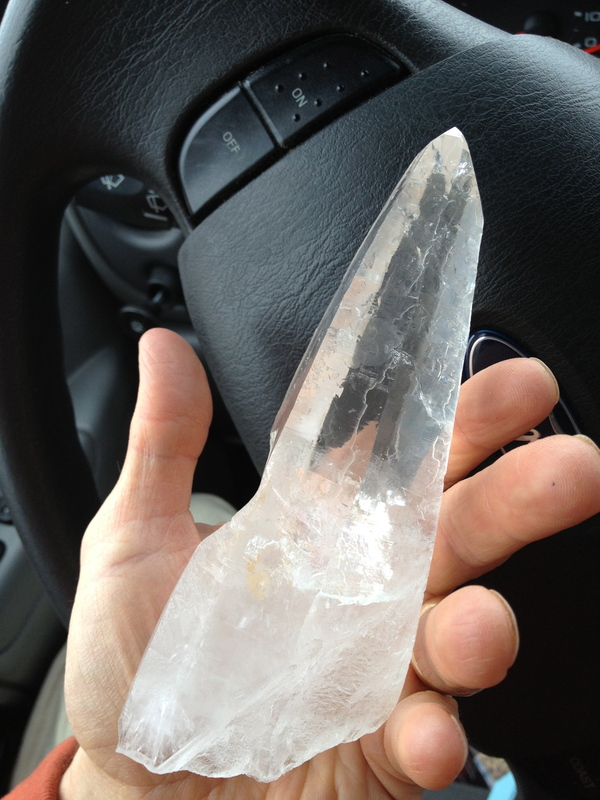 I also have my quartz crystals I bought from you here with me. I often like to read while holding this one. It is my study buddy.